Tasita’s single CHANGE MY HEART remixed by Japanese Jazzy Soul Giants Kyoto Jazz Massive is featured on the SWEET SUMMER SOUL 1st Anniversary Compilation this year. 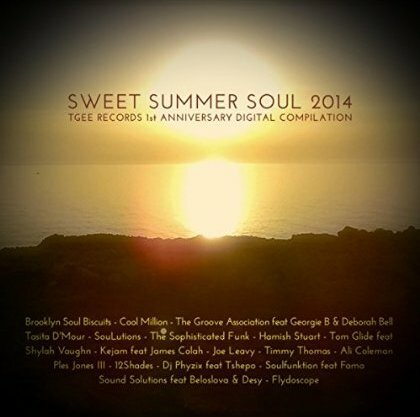 The compilation by TGEE Records features some of the best summer soul tracks of 2014, so it’s great to see Change My Heart featured here. The compilation was featured as ALBUM OF THE WEEK on Sound Fusion Radio, and has several great reviews from DJ’s and radio stations.